Template with the theme of nature. The template has two menus and a news block on the left. 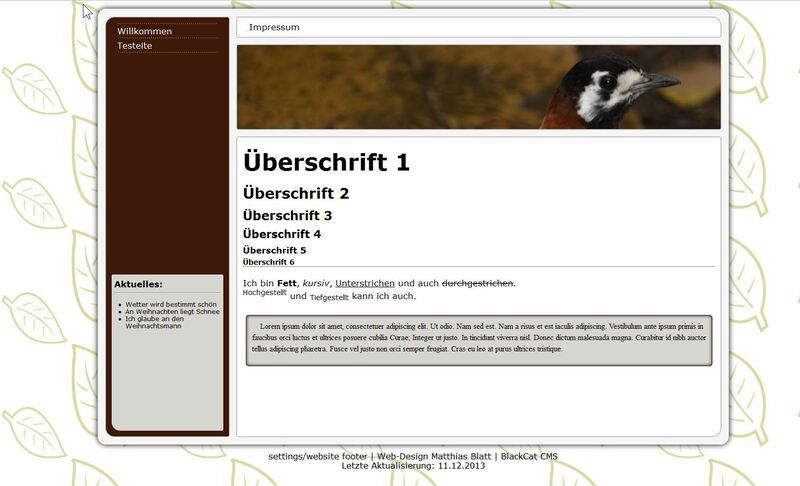 Template mit dem Thema Natur. Das Template hat zwei Menüs und ein News Block au der linken Seite.